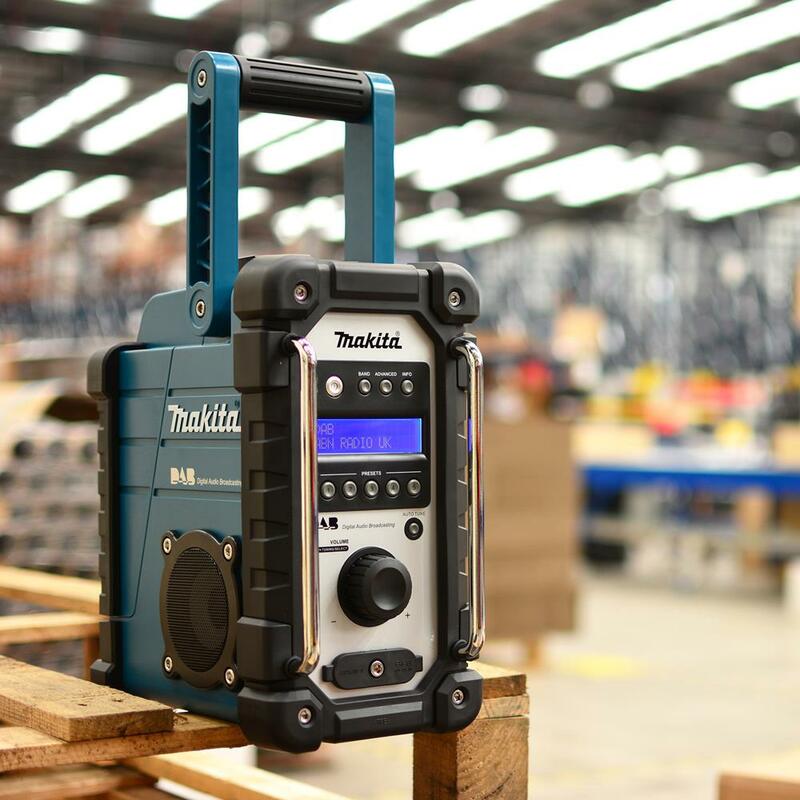 The DMR104 DAB jobsite radio is the upgraded version of the hugely popular DMR101 DAB jobsite radio providing wider coverage and a greater choice of stations, now accepting 7.2V & 10.8V batteries. 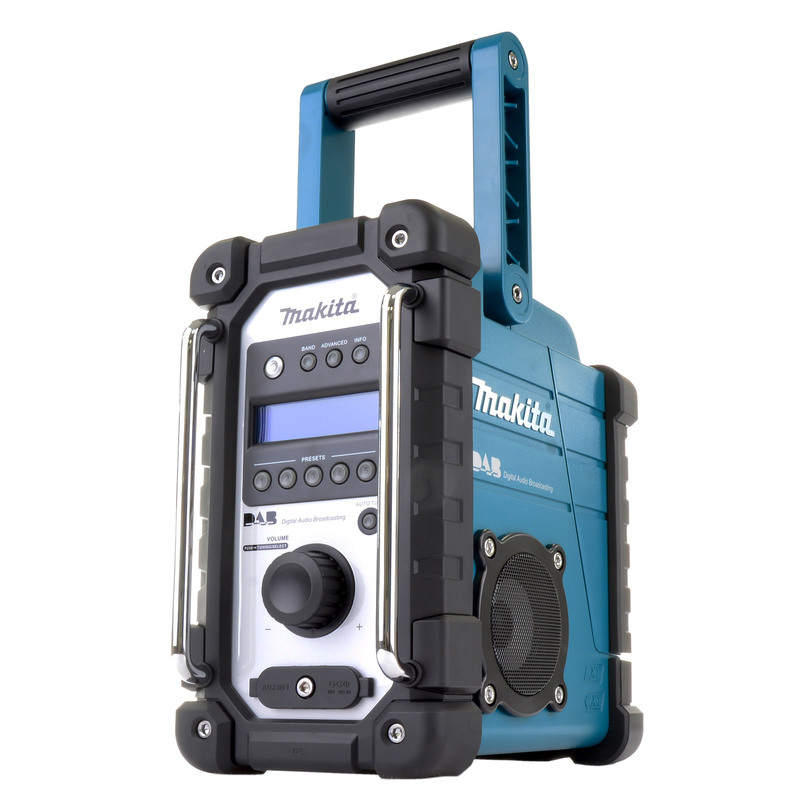 Maintaining all the easy to use functionality and features of the original and as robust as its predecessor, the new design features a silver front control panel & newly designed elastomer bumpers for protection in rough onsite conditions, plus its shower proof, withstanding up to 5 minutes exposure to rain. 2 speaker system, flexible FM antenna can be removed & stored inside of the battery cover on the radio, soft grip carry handle swivels 90°. Powered by 240v mains, it now accepts any slide or cluster Makita battery 9.6v – 18v (NiCD, NiMH or Li-ion), Excluding the G-series Battery and 10.8v Slide Battery. 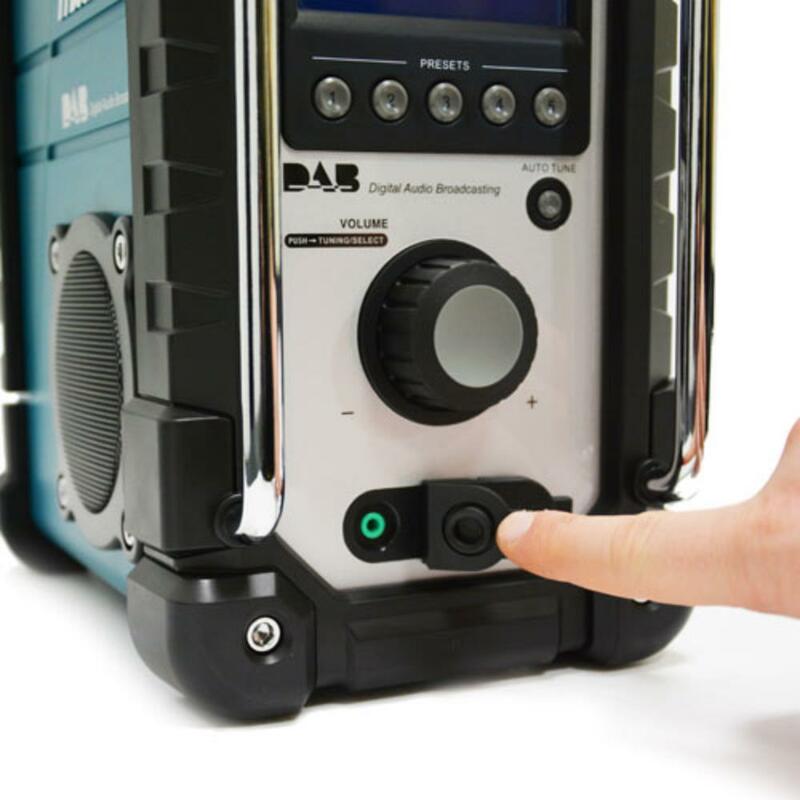 Featuring an easy-to-read blue digital backlit display for simple FM/AM band selection, illuminating for 15 seconds after operation of any button/dial. Equipped with Micro USB post for easy software upgrades. Auxiliary input allows connection of CD/MP3/iPOD players, AUX lead supplied separately. Please note the DMR104 is a radio only and will not charge batteries. 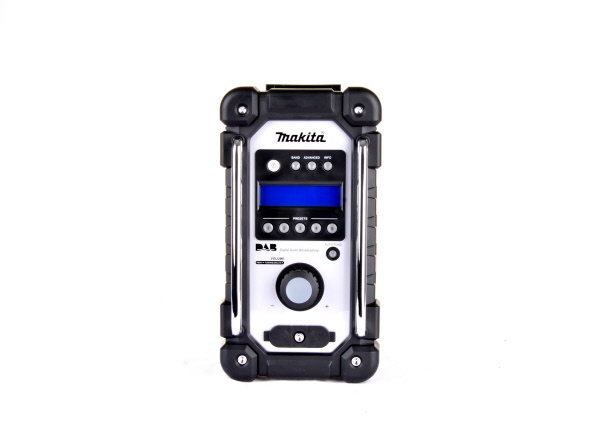 It is also not compatible with G-series batteries or the 10/8v slide-on battery. 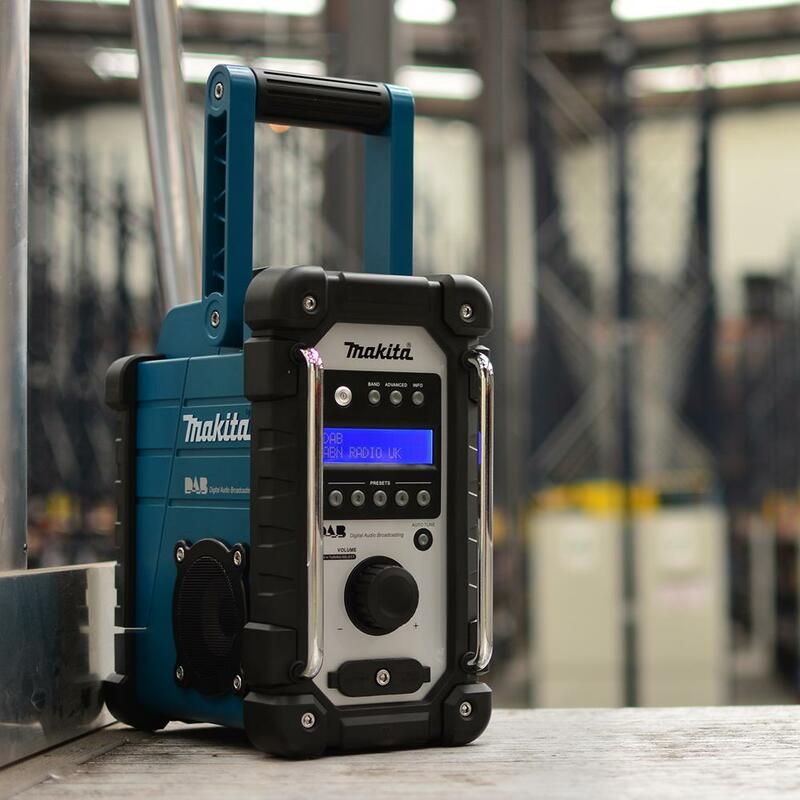 "Makita make the best site radios on the market today"